The NTDA has announced its closing speaker for the 2019 Tyre Industry Conference to be held on the 3rd October and this presentation could be considered a ‘divine intervention’ to proceedings! 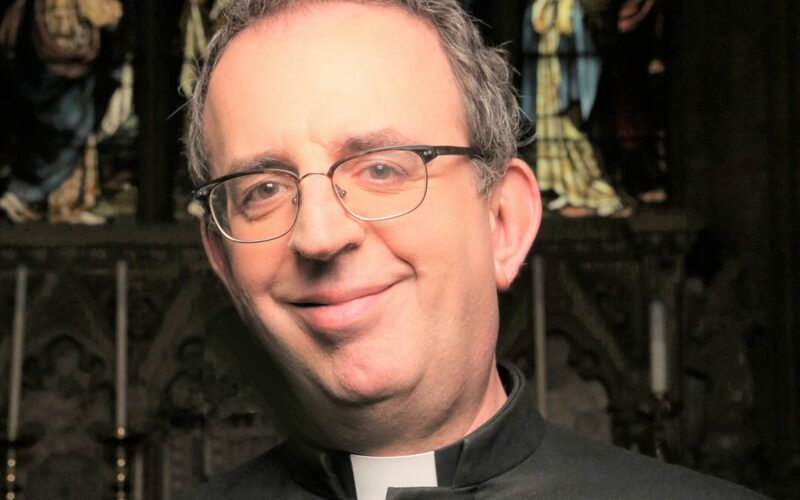 The Reverend Richard Coles is a broadcaster, writer and Church of England priest. Now known for appearances on everything from Have I Got News For You to Strictly Come Dancing, he first found fame as one half of the 1980s band, The Communards. They enjoyed three UK Top 10 hits, including the biggest-selling single of 1986: Don’t Leave Me This Way. The multi-talented Richard has turned his hand to acting, penned music for film and TV, served up advice as ‘agony uncle’ on BBC London and won a Sony Gold as presenter of The Mix on Radio 5 live. With a successful media career already established, Richard trained for a priesthood in the Church of England – becoming what could only be described as a ‘very modern’ vicar. He was Curate at St Boltoph’s in Lincolnshire before moving to St Paul’s Knightsbridge and becoming Chaplain to the Royal Academy of Music. His career in the church inspired the hit BBC2 comedy Rev. (he also advised the makers of the series on clerical matters). He recounted his journey from ‘pop star to parson’ in his honest, amusing and best-selling memoir Fathomless Riches. As well as his parish duties Richard continues to work in broadcasting, as an opera reviewer and frequent contributor to news, comedy and entertainment programmes. He’s competed in MasterChef, won Celebrity Mastermind, and has the distinction of performing “the worst Pasodoble in the history of Strictly Come Dancing”. He also makes time for the odd Songs of Praise special, appearances on QI, This Week and Would I Lie To You? The 5th NTDA Tyre Industry Conference, sponsored by Maritime Cargo Services, will be held at the International Convention Centre, (ICC) Birmingham, on Thursday 3rd October 2019 and is now fully booked.